In May 2018, Anneke Van Giersbergen performed two career-spanning concerts with orchestral arrangements together with Residentie Orkest The Hague. Now those special concerts will be available for all to hear when they are released as “Symphonized”, an 11-track live album due out on November 16. The promotional video for the previously unreleased track “Zo Lief”, taken from “Symphonized”, can be seen below. Anneke comments: “The song ‘Zo Lief’ is about hanging on and letting go. “I always thought that I would be a pretty relaxed mom, but dealing with transitions turns out to be more challenging than expected. “Every time my son Finn enthusiastically welcomes a new stage of his independence, I have to admit that letting go of parental attachment isn’t that easy. “An English translation of the song title is ‘So Sweet’, and this is the very first time I release a song in my native language as a solo artist. “Symphonized” features material from across Anneke‘s career, including songs by VUUR, THE GENTLE STORM and THE GATHERING as well as her solo albums. 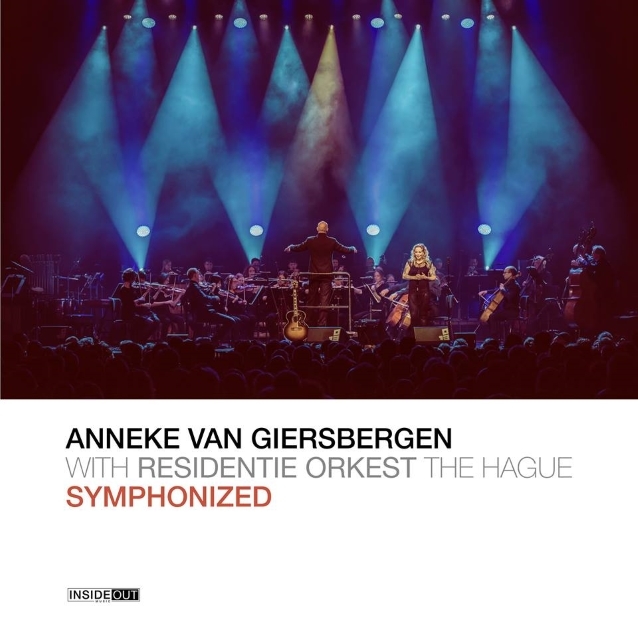 Anneke comments: “‘Symphonized’ was recorded last May in Dutch venues 013 (Tilburg) and Paard (The Hague), as I performed alongside the wonderful Residentie Orkest The Hague conducted by Arjan Tien. The orchestra is one of the leading Dutch symphony orchestras and regularly initiates cross-over projects. The album will be available as CD digipak, gatefold 2LP + CD and as digital audio download.